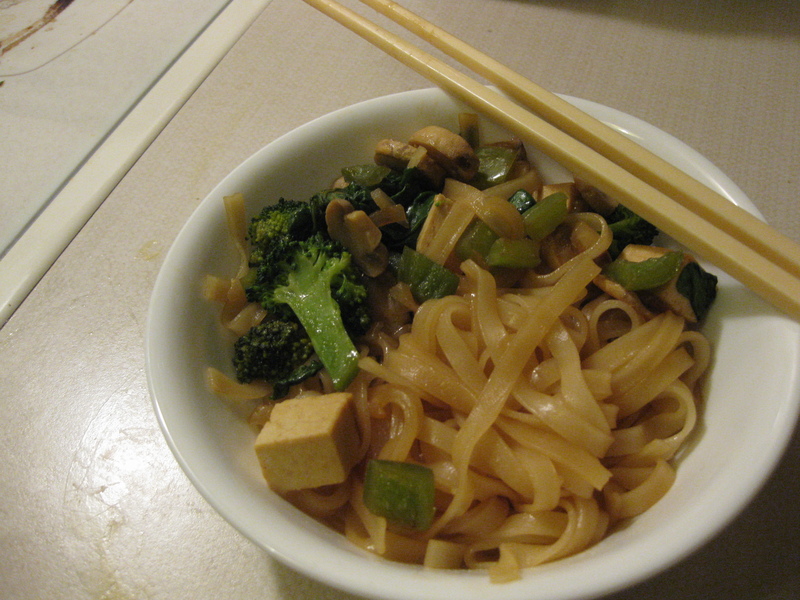 veganmofo 14: Pad Thai! | Go Fork Go! 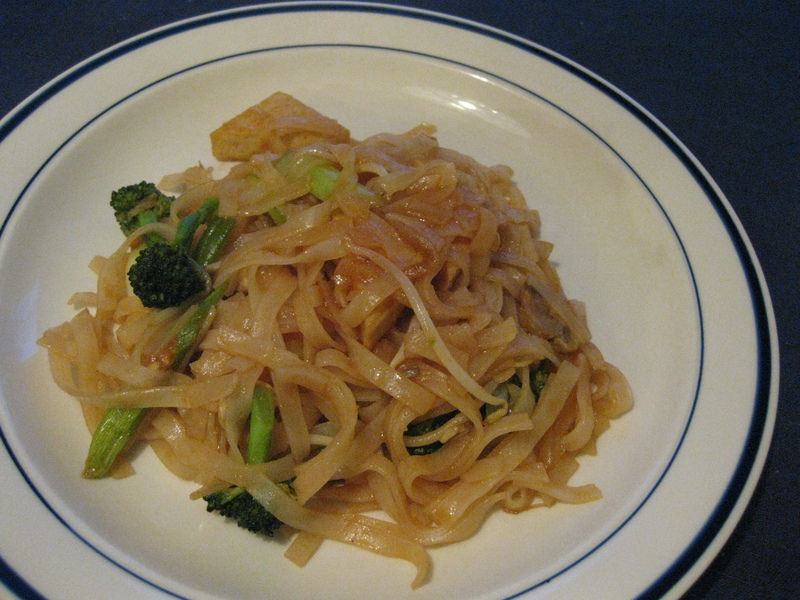 I’ve always loved pad thai but I like it too spicy so it’s often hard for me to find pad thai that has the right level of sweet and tangy-ness when I eat out without it being too spicy. It was also one of those recipes that just looked way too damn hard to make on my own. It’s a taste combination that I don’t typically make at home. But seeing as I’ve been trying soba and baking bread, I figured heck, why not. My first attempt was this recipe from chef chloe’s blog. As with her garlic sesame soba recipe, it’s pretty good but it’s not my favourite. It was better the second day (tonight) but still not quite my favourite. It is tangy and sweet as the recipe says, but it’s still missing something, in my opinion. I think it is that the sauce is pretty light… it felt like it was missing depth. I think this would be a great summer almost-noodle-salad recipe though. My next attempt (with the other half of the noodles) was the Brooklyn Pad Thai from VWAV. This recipe was really, really good but I think it’s still missing something. This time though, I think I know what it is. I didn’t use peanut oil because I didn’t want to spend six bucks on a ginormous bottle of peanut oil that I wouldn’t use often when I didn’t know if the recipe would even turn out well, so I used olive oil. I also didn’t use chopped peanuts. I did add most of a tablespoon of crunchy peanut butter which sort of helped, but then I got clumps of noodles with TONS of peanut butter and the rest of the noodles didn’t have quite enough. In addition, I didn’t use tamarind concentrate (i couldn’t find any at either of the two grocery stores near me… i will keep an eye out for it in the future) and I think it would make a big difference. Anyways, I wnat to try this recipe again with the peanut oil and the tamarind concentrate and I will review the actual recipe but last night… I thought that it was pretty damn good as it was.